fruits of Citrus aurantium var. bergamia, traditionally grown in the southern part of Calabria, Italy, where the soil and climatic conditions are very favourable for its cultivation. 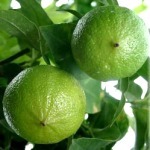 Bergamot oil is used extensively in perfumery for its sweet freshness. Citrus oils are perfumery ingredients used in large amounts to impart fresh, sparkling notes without being overpowering. They are used at concentrations up to 25 % as a basis for the classical Eau de Colognes of the Maria Farina type like 4711 (Mülhens 1881), the modern 'Eau Fraiche'-types like Eau Sauvage (Dior 1966) or the modern classicals like Baldessarini (Boss 2002). Citrus oils harmonize very well with a large number of essential oils and synthetic odorants and are used in different proportions in nearly all modern creations. Perfumes of the so-called Chypre and Fougère types are not possible without bergamot oil . Bergamot oil is also used for flavouring purposes, e.g. in Earl Grey tea and the so-called althea drops. (+)-linalool and (+)-linalyl acetate (> 50 %). The crude bergamot oil contains the photosensitizing furocoumarin bergaptene which must be removed before perfumery use . This beautiful, succulent herb is native to Southern and Eastern Africa but has been brought to much of the world as a culinary plant. 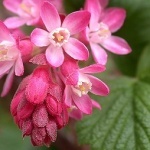 Indoors it thrives in a semi-shaded position and it is easily propagated by stem cuttings. 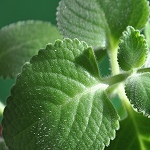 The fleshy, fine-looking hairy leaves (the left photo is from the author's windowsill) grows to about 4 cm in size and have a slightly acidulous taste with an aroma combining notes of oregano, thyme and turpentine. They make a decorative topping with several meals. 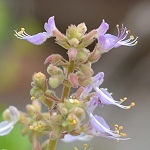 Although variable and depending on genotype, season, soil type and climate, the essential oil is generally dominated by thymol and carvacrol (~ 50 %)  . In one study alpha-humulene (10 %), undecanal (8 %), gamma-terpinene (8 %) and para-cymene (6 %) were other major volatiles . 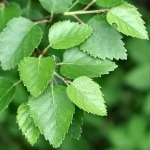 The tender leaves of downy birch, B. pubescens, are protected by a delicate balsam, endowing the birch moor with an enchanting fragrance in the early springtime. Birch bud oil is rich in sesquiterpenes, among them alpha-betulenol, alpha-betulol, germacrene D, alpha-copaene, beta-bourbonene and aromadendrene  . The oil has been extracted on a limited scale, mainly for use in skin- and hair tonics. 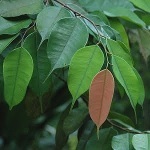 (up to 24 %), making the bark resistant to decay. Betulin has recently gained interest as a chemical of potential medical applications. 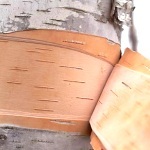 The pleasant smell from burning birch wood is caused by specific compounds from pyrolysis of betulin and birch lignins. The smell is somewhat reminiscent of that of oakmoss. Bitter almonds (and many other seeds of the rose family, e.g. apricot and cherry) contain amygdalin, a so-called cyanogenic glycoside. 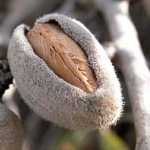 When the almonds are damaged (chewed), the amygdalin is enzymatically hydrolyzed to benzaldehyde, deadly hydrogen cyanide, and the disaccharide beta-gentiobiose. 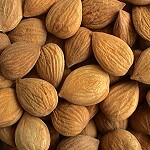 It is claimed that about 20 almonds are the lethal dose in adults, but you can't possibly eat (chew) even a single bitter almond. The chokingly powerful benzaldehyde flavour and the stunning of the tongue by hydrogen cyanide make you spit it out after a few seconds! Benzaldehyde from bitter almond was formerly used as a natural flavoring substance, but has now been largely replaced by synthetic benzaldehyde . Etymology: Lat. prunus, plum tree; Gr. amygdale, almond; Lat. amarus, bitter. with most of its members in Australia and South Africa. It is a small shrub-like plant capable of surviving occasional fires, but the reason for its inclusion here is that it holds a remarkable record: its essential oil (1 % by weight of the fresh young shoots) consists almost exclusively (~ 90 %) of acetophenone, the simplest of aromatic ketones  . Acetophenone, or methyl phenyl ketone, has a very intense, sweet, floral, acacia and hawthorn-like odor, easily becoming overpowering in high concentration. Being also a well-known industrial chemical and perhaps considered as such by most fragrance chemists, acetophenone may nevertheless "produce truly pleasant olfactory effect in the hands of a skilled and experienced artist-perfumer," according to Arctander [see additional literature under references]. 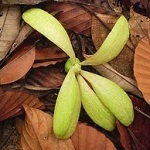 Borneol, the bicyclic monoterpene alcohol corresponding to camphor, has its name from the home of the giant tree Dryobalanops aromatica, a native of the rainforests of Borneo, Sumatra and the Malaya peninsula. 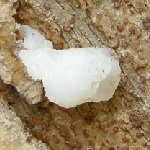 The resin of D. aromatica is rich in borneol often forming crystalline accumulations (photo). Under the name of Borneo camphor it has been an item of commerce since ancient times. It is used for medicinal purposes, incense making, etc. 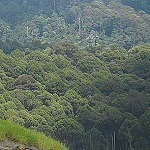 Borneo camphor is the d- or (+)-enantiomer of borneol  and has a powerful, dry-camphoraceous, woody-peppery odor often compared to that of a good grade of rosemary oil (in which it is also present). Etymology: Gr. dryas, a nymph associated with oaks, Gr. balanops, acorn, because of the winged nuts who glide from the treetops to the ground rotating like helicopter blades. South-western Australia is the home of the shrubby boronia, a member of the rue family. It has 8-10 cm wide, chocolate-coloured, bell-shaped flowers emanating a fragrance somewhat between that of freesia and osmanthus. Boronia was unknown in classical European perfumery, but Tasmania now has a production of a so-called boronia absolute: The flowers are extracted with petroleum ether, yielding a waxy concentrate after evaporation. The concentrate is then extracted with alcohol, chilled, filtered and finally evaporated at reduced pressure (Rota-Vapor). 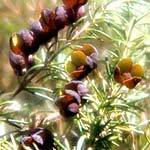 Boronia absolute is used in fine perfumery and as an aroma fortifier. It has been known for several years that beta-ionone plays a major role in the fragrance of boronia. Lately it has been shown that it is followed by several similar compounds, all being metabolites of carotene. Moreover, methyl jasmonate seems to play a role in the overall fragrance . 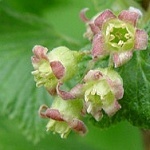 The young leaves, flower buds and berries of black currant carry strongly odoriferous glandular trichomes giving the plant a characteristic smell. 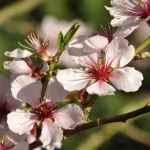 An extract for use in flavors and fragrances has been marketed since the early 1960s as 'Bourgeons de Cassis'. It has a distinctive aroma with a fresh top note, an intensely cat urine-like nuance and a strong fruity background. Latrasse et al. in 1982 identified 4-methoxy-2-methylbutan-2-thiol as an important trace constituent of the black currant aroma  . Moreover, Nishimura et al. have demonstrated the occurrence of a number of hydroxy nitriles in blackcurrant buds absolute, i.e. 2-cyanobutan-3-ol, 2-cyano-(Z)-2-buten-1-ol and 2-cyano-(E)-2-buten-1-ol . Winter currant, a close relative to black currant, has the same olfactory characteristics. 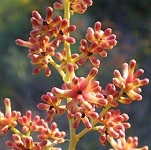 It is a native of the mountainous regions in California and Mexico, but is now grown in many temperate zones as an ornamental plant. 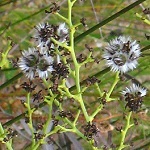 In the photo on the right, the glandular hairs are just visible on the flower buds. Winter currant blooms in the early springtime. Where the bushes form dense stands on sunny slopes, the air may be heavy with their distinctive scent, which is also dominated by 4-methoxy-2-methylbutan-2-thiol . 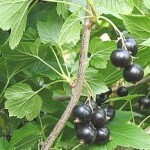 A black currant-like note is present in other plants too, e.g. in the leaves of the South African buchu. 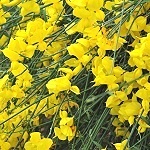 Spanish broom is a characteristic perennial legume of the Mediterranean macchia vegetation with tough round green stems and very small leaves which are soon discarded. 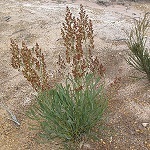 The photosynthesis is carried out by the stems - an adaptation to the arid climate. 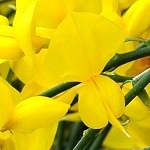 In the spring the Spanish broom carries fairly large, yellow, fragrant flowers - in contrast with many relatives which have rather bitter-smelling flowers. Roman Kaiser - in his marvelous book: Meaningful scents around the World - describes the scent of Spartium junceum flowers in full sun as a rich and embracing aromatic-floral scent. He analysed the headspace of these flowers growing in Liguria, Italy, and identified 53 compounds of which (Z)-3-hexenyl butanoate, methyl anthranilate (or methyl 2-aminobenzoate), 2-amino-benzaldehyde, phenylacetonitrile and phenethyl butanoate were among the character-determining constituents . An extract from the flowers is commercially available. It has an intensely sweet hay-honey-floral fragrance underscored with tea-herbal and tobacco-courmarin notes . The above photos are from the Botanical Garden in Copenhagen. Interestingly, the dried flowers of the related species Genista canariensis (Fabaceae) are reported as being a minor psychedelic when smoked .